Colombo is Sri Lanka’s colorful former capital and largest commercial hub. The city of 555,000 people has a major draw and offers many must-see sightseeing spots and outdoor activities. With direct cheap flighta to Colombo, Bandaranayake from the UK it is easy and convenient to get to, however if searching for a cheap flight tickets to Colombo consider a change of plane on route. Besides a myriad of churches, Hindu temples and mosques, Colombo has several interesting museums, mansions and galleries that are worth a visit. Between the National Museum of Colombo with its regalia of the 17th century Kandyan kings, the Natural History Museum for lovers of flora and fauna, and the Dutch Period Museum with Dutch-inspired artifacts, you will for sure find something to your taste. If you are an art lover, you should put the Casa Serena Art Gallery on your bucket list. 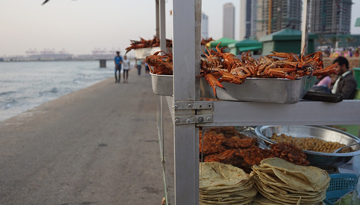 No matter what your preferences are: An absolute must-do while in the city is a stroll along the famed Galle Face Promenade at sundown, starting at the Galle Road and ending your walk with a picnic at the Indian Ocean. Also, don’t miss out visiting the Pettah Market to experience a typical oriental market place. Like most Asian cities, Colombo is bustling with life and congested. You best get around in a Rickshaw or Taxi, as they are cheap, more flexible and less crowded. If you have more time at hand and want the true Sri Lankan experience, there exists an extensive bus and train network across the city and the entire country. In fact, traveling by train is one of the highlights for many tourists, as these old relics have a somewhat romantic feel. However, due to congested streets, getting around by bus or train is more time-consuming. Sri Lanka’s Rickshaws are an attraction by themselves, as each owner decorates his vehicle in his own style. Flowers, stickers, statuettes or other decorative items give them a particularly colorful and special flair. Therefore, we’d go as far as to say that taking a Rickshaw at least once while in Colombo is a must! In case you’d like to explore other parts of Sri Lanka, do plan a few days to visit the important religious sites just outside the capital. Sigiriya and Adam’s Peak are two of the places that cannot be missed. Also, the Pinnawala Elephant Orphanage is only 55 miles from the city and simply stunning! Due to Colombo being influenced by 2 Monsoon seasons, the best (and driest) time to travel is from December through March. However, be prepared for hot temperatures any time of the year. 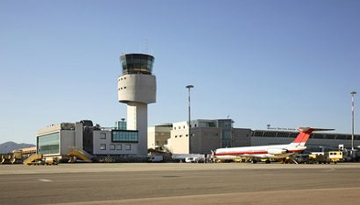 There are many cheap flight tickets to Colombo which are available at a cost-effective price. You just have to compare flight tickets to Colombo and book your cheapest flight tickets to Colombo which fits well within your budget. 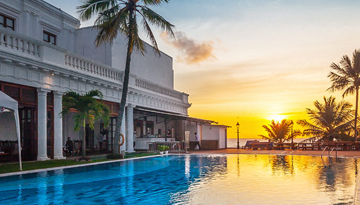 Mount Lavinia Hotel is perfect for holidaying with your family with 4 star accommadation. Fly from London - Colombo & Stay for 6 nights with 3 star accommodation. Room only.